Last week BGV was buzzing with excitement as we welcomed 40 teams to conduct 80 interviews across two different venues. On that note – we’d just like to give a massive shout out to Nesta and Central Working Whitechapel for giving us the space to run the interviews as smoothly as possible. Also a huge thanks in order to our alumni and mentor networks who helped us interview the prospective teams. We’ve seen all sorts of people from many different backgrounds come through the interview process. What unites them all is a real desire to tackle a particular problem. It could be trying to better diagnose Malaria in Uganda or cleaning up a wasteful fast fashion industry, but make no mistake, these people are passionate! Whether they are 60 or 16, this week has proven to me that entrepreneurs come in all shapes and sizes. You might have a deep personal understanding of the problem you are trying to solve, but until you get out there, do your homework, and get a core group of users from which you can gather feedback, you’ll have trouble getting your idea off the ground. As one of the world’s least techie people I’ve learned this week that technology is no magic bullet – it pays to think about your roadmap. In addition to this – there’s a lot you can do to prove the validity of your idea without even building any tech! What’s been really gratifying to hear from many of the teams coming out of the interviews is how constructive the whole process has been. At BGV we don’t want to ‘catch anyone out’. We are super interested in hearing about your ideas and we want you to leave feeling like you really got something out of it. Listening to where others have experienced similar problems and how they’ve overcome them can save you a lot of headaches. 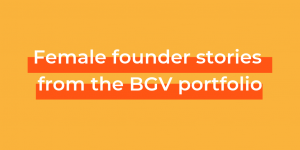 Given that at BGV we invest in early stage startups, we really understand that you won’t know all the answers! A big ambitious idea that has the ability to impact millions of lives is obviously going to come with its challenges. You might not know exactly how to solve them, and you definitely want to be flexible, but you need to know what you’re up against. A strong application will obviously better your chances of even getting to the interview stage. It’s really important though that you know how to talk about your idea (especially without PowerPoint)! You never know what serendipitous encounter could positively affect your business, so it pays to practice and refine your ‘elevator pitch’. 6. Interviews don’t need to be scary! At BGV we understand that the ventures we take on are at an early stage, so we don’t expect you to have everything right the first time. 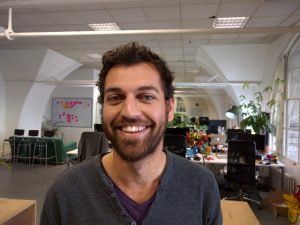 What we really want to see is that you are committed to addressing a big social and environmental problem through tech, and you have the right team to take on the challenge. 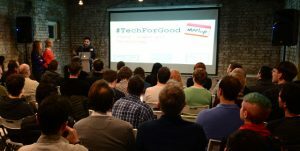 We’ll be opening up our call for ideas again in March, but until then keep testing your ideas, doing your homework and most importantly attend our TechforGood meetups! Oh and stay tuned – we’ll be announcing who our next cohort will be in the next couple of weeks!